Volunteer of the Year Stephen Sharp. 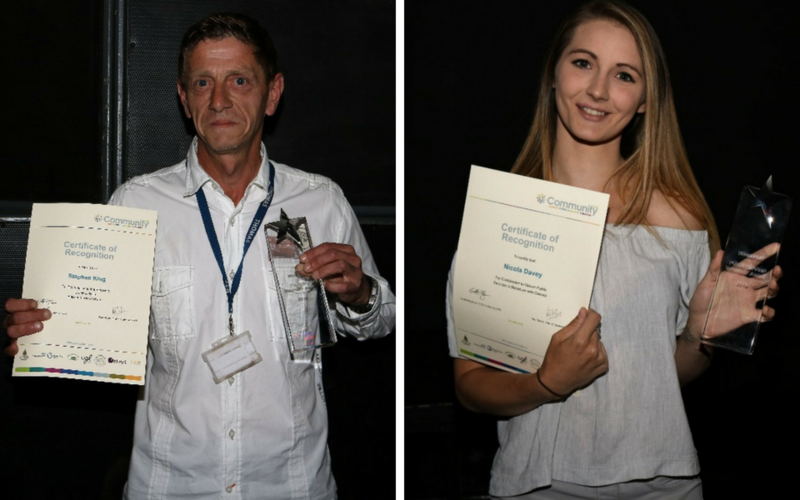 The borough’s volunteers were honoured at a glittering ceremony at King George’s Hall. Coronation Street actor Peter Gunn who plays Brian Packham hosted the first annual Blackburn with Darwen Volunteers’ Week Award Ceremony. Organised by the charity Community CVS and Blackburn with Darwen Council, it was the culmination of a series of events to celebrate National Volunteers’ Week. 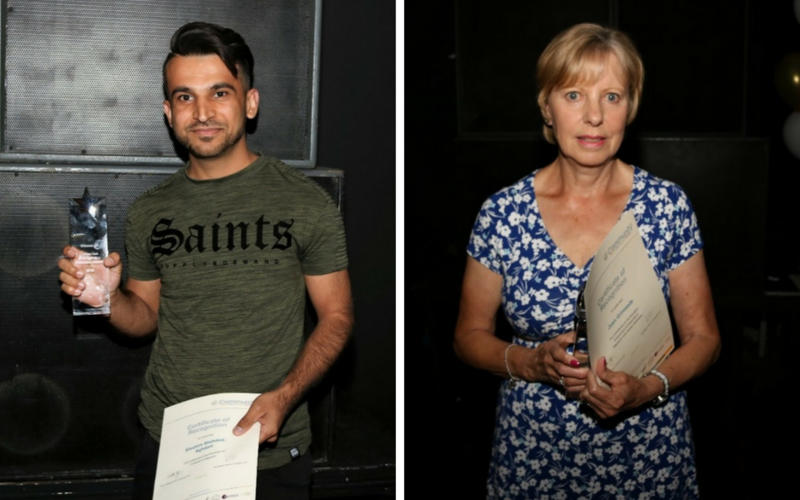 More than 200 guests saw honours handed out in 11 categories which celebrated voluntary work in the borough in areas like community cohesion, health and wellbeing, public services and grassroots community action. 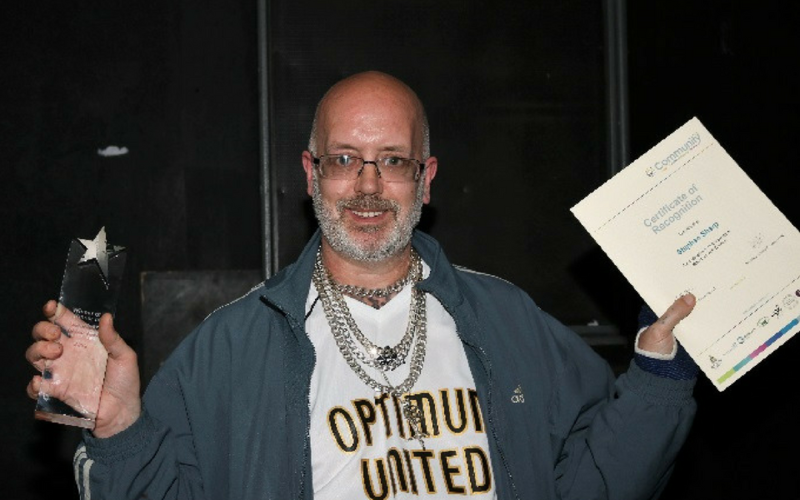 Stephen Sharp from Care Network Hub was crowned Volunteer of the Year. 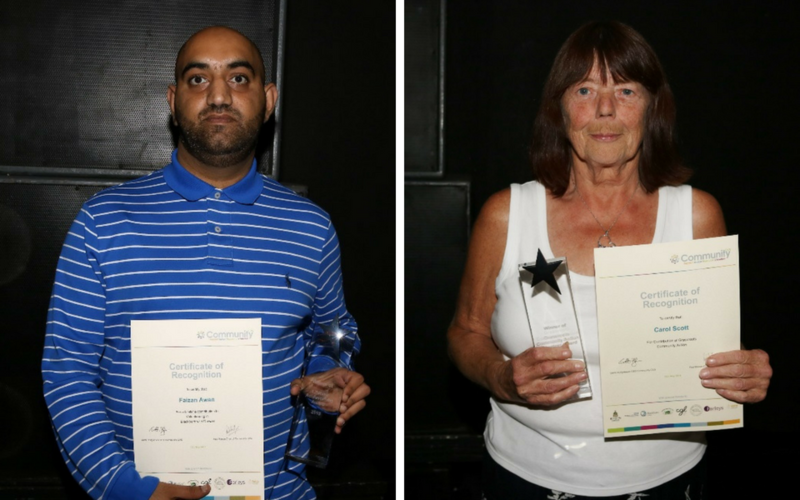 He received his award from Blackburn with Darwen Council Leader Mohammed Khan. The council’s chief executive Harry Catherall presented the Lifetime Achievement Award to Faizan Awan from Blackburn Youth Zone. Susan Seward from Blackburn with Darwen Healthy Living won the Lindsay Dunn Community Spirit Award. There is no doubt that people’s willingness to roll up their sleeves and volunteer is a major strength for us in Blackburn and Darwen. It’s something we need to shout about and be proud of. 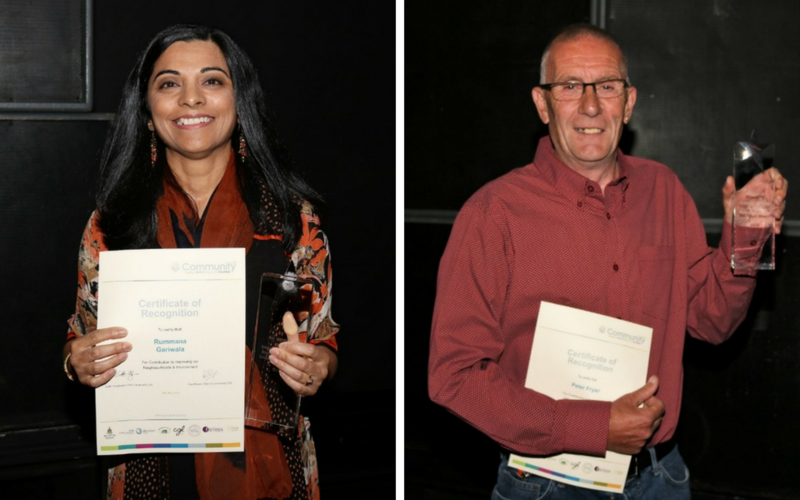 We are very lucky to have so many residents who spend their own time volunteering to help make the towns where we live better places for everyone, and it was great to see them publicly honoured for their efforts. It was great to meet and spend time with inspirational people who have a real desire to improve the lives of others and make our borough a better place. The Council is committed to seeing volunteering further flourish. We have many people working with our services and their contribution is invaluable. Contribution to Improving Our Neighbourhoods and Communities – Rummana Gari Wala, Lancashire Volunteering Partnership. 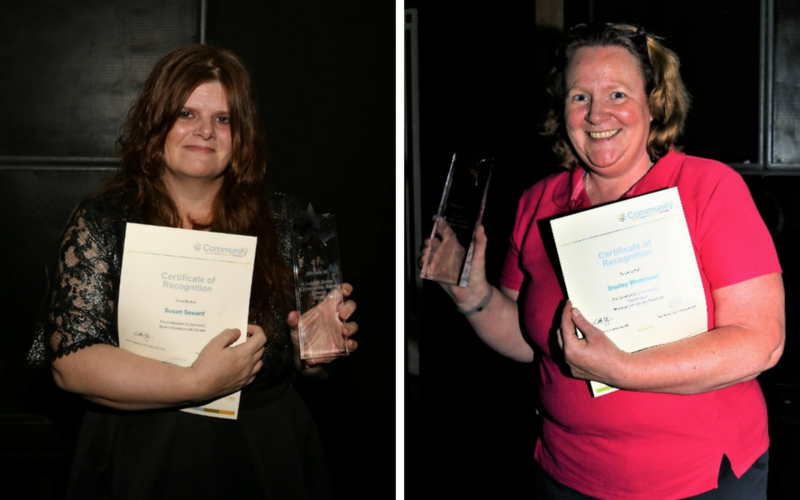 Contribution to Grassroots Community Action – Carol Scott, Culture Creatives.